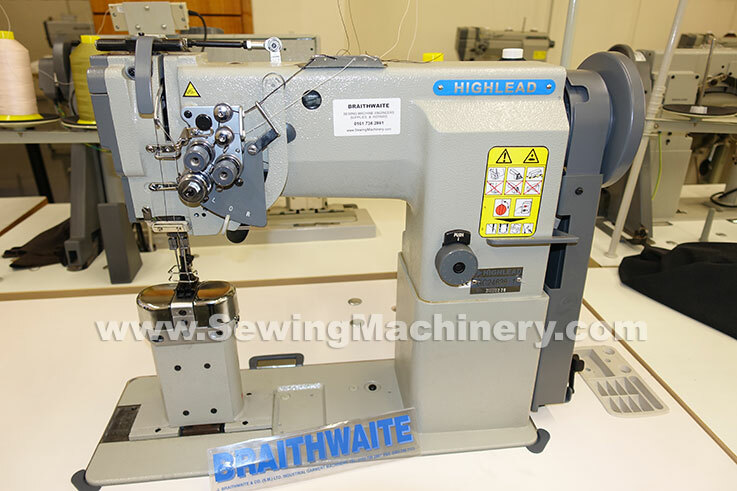 The Highlead GC24628-1 is a twin needle post-bed heavy duty compound feed and walking foot sewing machine which features a selectable split needle bar. 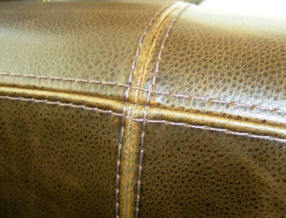 The post-bed design is very useful when sewing shaped items or panels etc. 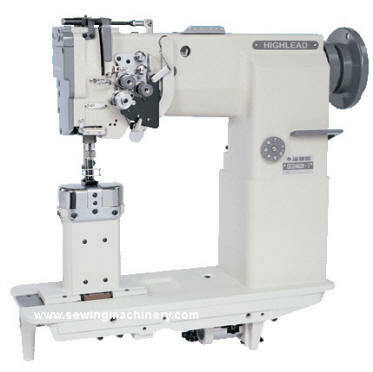 and is used when you need to sew into shaped items which can not be done on a standard flat-bed machine. The 178mm high slim post bed gives you greater access and control when sewing decorative (top stitching) & functional stitching on items like leather upholstery panels, car seat upholstery and general furniture etc. 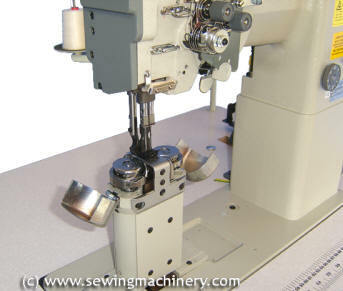 The special split needle bar is particularly useful when sewing corners or tight angular stitching and allows the operator, at the flick of a lever, to disengage one of the needle bars; so the machine can sew with one needle. You can select to disengage or re-engage the left or right needle depending on the type of corner or angular stitching you are doing. The machine is smooth running, durable, versatile and its robust construction includes: needle roller bearings for the arm & hook shaft etc., cog driven belt assemblies and a semi-automatic oil lubrication system with sump is fitted which reduces wear & tear considerably. As well as the Post bed shape & split needle bar design, It features a heavy duty triple feeding action by way of: bottom feed, needle feed and walking foot top feed and is fitted with two large vertically mounted hook & bases for use with medium to heavy weight materials. A safety clutch is fitted to help prevent damage to the hooks, bevel gears and other important parts, should the machine become jammed or over-loaded. leather upholstery, car upholstery, general upholstery panels/shapes, leather goods, canvas/plastic, handbags, sports apparatus, office furniture, technical textiles etc.